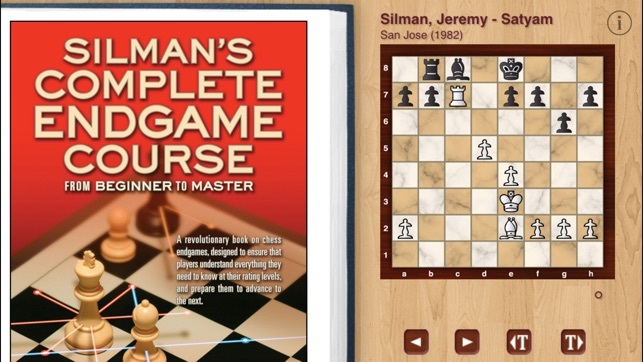 As a chess enthusiast, you know there are many situations that would be improved by a good chess book – but only a Grandmaster could read one without a chess set. Until now. 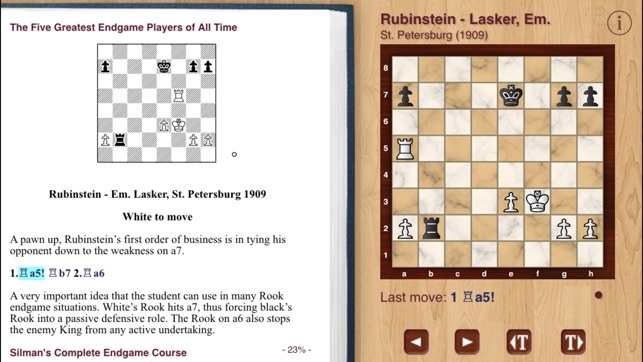 This app gives you book and set, so you can read great chess literature anywhere, any time, without skipping over the long lines and subvariations. Chess books, by their very nature, are more than just text. 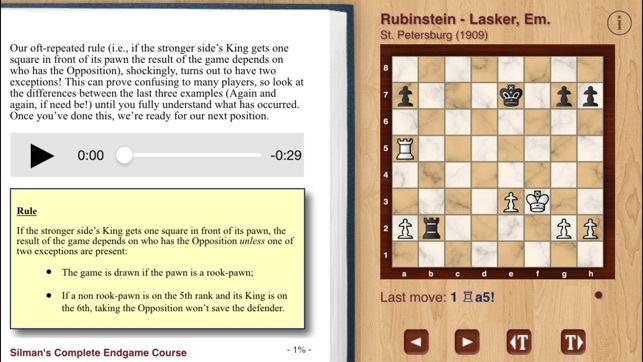 With this app, chess books can be everything they were meant to be. ● Add notes into pages. ● Solve puzzles – move the pieces around to see if your solution looks good. Tap the Solution button to see the answer. No need to rummage through the back of the book to check the solutions, and no danger of accidentally seeing the solution to the next puzzle while you’re checking the previous one. ● Tap on moves directly, or use the buttons under the live board to follow the main line, or to follow through moves as they appear in the text (main lines and variations). ● Easy navigation through the book, by Contents, or Player, or Opening. ● Lookup words in a dictionary. ● Read chess books on the train, on the bus, in the air, or while waiting interminably between any two modes of transport. ● Continue reading without worrying that the table will be cleared of your chess set for dinner, or that the cat will decide to sleep on the center squares, or that the kids will make off with it to use as an alien zoo. ● Have you really played through as many of the famous old classics as you would like? Take a chess classic to the armchair; relax and enjoy the fantastic variations, and the comments of the all-time greats. ● Build up a library of new books, great classics, and everything in-between. ● Enjoy chess books in any spare moment. Coffee and Capablanca? Muffin and Morphy? No problem. Tall skinny latte and Lasker, any time. ● Read chess books in the gym. ● Where else? Join us on our e+Blog and tell us where you read our chess books! Naughty iPhone elves keep pushing menus off the screen. This release deals with them. After a long wait for both the programmers changing the server name that killed this app, it is back up and running very smoothly. Glad to see this as it is my favorite for reading chess books when I'm mobile. Thanks Helen! © Copyright 2011-2014 ePlusBooks.com Limited. All rights reserved.